Note : It is not feasible to fully discuss this film's quality and its relation to Ratnam's oeuvre without revealing certain plot points. If you'd rather not know these, you may peruse the review later while now just getting the tip-off that aside from Aditi Rao Hydari's luminous performance and Ravi Varman's grand cinematography, this movie breaks no new ground for Mani Ratnam in the twilight of his waning directorial career of over thirty years. A wide-angle lens slowly weaves through the chilly vista, gazing at a snow-blanketed mountain flanked by nothingness, at the centre of which a bus wends through the lone road. From the vehicle's window a young lady leans out, the sun catching her brunette-bronze tresses as her glowing face smiles at the dazzling scenery. She reaches the hospital in Srinagar, Kashmir to convey pleasantries of arrival, and as it often happens in subcontinental hospitals, her day of joining as a duty doctor hasn't even commenced when she is thrust into the storm of dealing with smashed heads and bleeding limbs.The young military pilot she bravely brings back into rude good health scoots before formalities, but they again find each other (as pairs inevitably do in Ratnam movies). The cold air glows giddily warm in the chemistry of their togetherness. 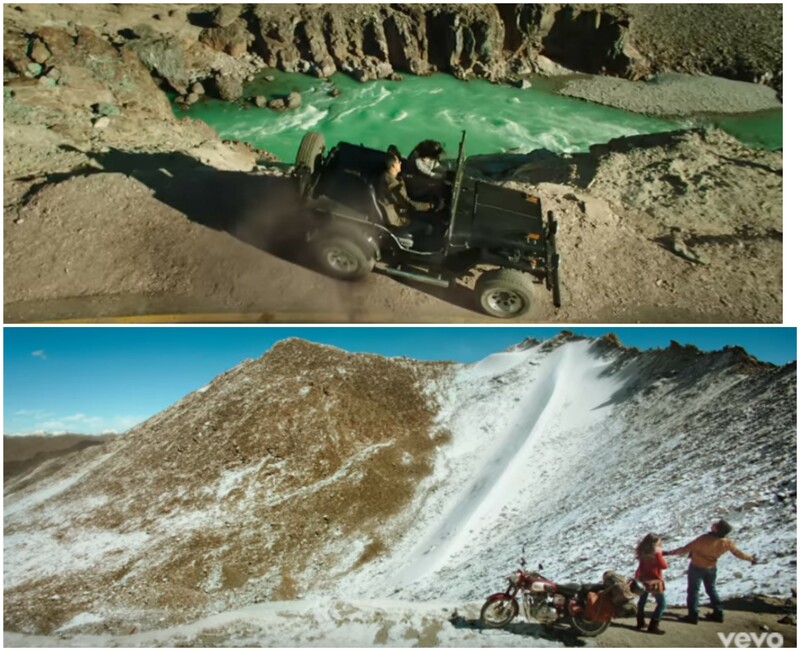 He ( Varun a.k.a VC portrayed by Karthi) steals her (Leela, essayed by Aditi Rao Hydari) and they go a plane ride through snowy paradise - a sequence remarkable for the way it captures the dizzy untramelled joy felt by Leela. Varun may not match her in charm, but with his Aviator sunglasses and sculpted physical contours, he initially pulls off the cool, strong, calm look with elan. 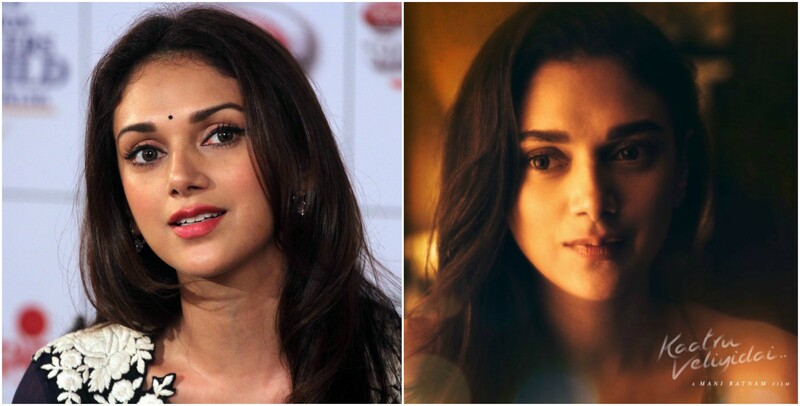 One senses rather early that this film may not have the most imaginative of story-lines but never mind - Ratnam strikes pure gold with casting the brilliant Aditi Rao Hydari as the queen of this story. With her radiantly delicate face and marvellously expressive, limpidly light-hued eyes that convey everything from romantic thrill to aching vulnerability with exquisite effect, the film blooms like a stunning Kashmiri vista every time Hydari holds court. She is the one definite reason why anyone should bother watching this film. One cannot recognize her from her simple get-up in 'Rockstar' six years ago, but here she is in fairy-tale princess mode, with wondrous screen presence and award-winning emoting.The last time a young Indian actress dazzled so much was in 'Ishaqzaade' (2012) with Parineeta Chopra. Those early "simple" sequences, which soar on strong direction and inspired casting, herald a securely auspicious start to 'Kaatru Veliyidae". Trouble looms in paradise when the recipe for the continued story goes awry both for the characters and the narration. Varun turns out to be a Jekyll & Hyde jerk - he'll sweep you off your feet today, then yell and sulk like a thug, then serenade again tomorrow, and betray you most humiliatingly before again acting the consummate Romeo. Leela too betrays her intelligence by repeatedly falling for this flawed fool who passes for a brave charming hero in public life. It turns out he has an abusive father which explains why he sports the psychological defence mechanism called 'displacement' or 'transferential displacement' where he in turn abuses Leela to come to terms with his damaged past. We still have a promising story but Ratnam, who's also the scriptwriter here, then goes slack in further fleshing out the persona of Varun. The Varun we see in this film is a realistic person admittedly - a two-timing supposedly charming capricious jerk whose real colours get better manifested towards those who know him better. But in a film like this where he is positioned as a central character, Varun deflates expectations. The deception in his deviousness is not given a smoother, more sophisticated spin. His behavioural palette of broad mostly witless strokes, in qualitative numbers, directly jumps from 50 to 20 to 10 or 50 to 70 to 100, whereas Leela's emotional acuity deftly touches over each integer in going from 1 to 100. After his most public and humiliating betrayal of her, when she confronts his blissfully oblivious self in a bar, he cites forgetfulless and then attempts to woo her again clumsily. Resorting to an earlier tactic, he harks back to his friends and proclaims 'Pals! !, she's leaving me! Oh come on, don't do this to me Leela..." as if he has nothing to hide. It is likely a reflection of both Leela's deep infatuation towards him and her innate nobility that she does not slap him resoundingly for this patently dishonest farce. Ratnam has shown us in the past that he is not a director capable of transcending weaknesses in the script by bravura direction. In "Dil Se" (1999) therefore, Ratnam wittingly or otherwise, gifted himself a ceaselessly progressing story full of interesting developments (all penned by himself) and he capitalized on this raft upon narrative raft coming his way by lepaing from Titanic to Titanic, directing every scene with clean focus, deep emotion and a careening sense of kingdom come - the result is a vaulting masterpiece of world cinema. In 'Kaatru Veliyidae', once Ratnam's directorial juice runs out in the second half, the screenplay simply does not have enough tricks up its sleeve to inspire him. The sequences purportedly set in Pakistan are a shocking example of poor story-telling, all the more so because they come from a distinguished film-maker. Would a Pakistani watching this movie come away with the impression that the film has presented an interesting slice of his or her own country? Hell,No! This track runs listlessly as a token vessel which carries the hero through strife and then triumphantly back into India. The Rawalpindi prison is shorn of any sense of place or personality, no Pakistani character is given any dramatically distinctive persona, and when Varun cadges from 'Shawshank Redemption' to scoot from the atrociously "guarded" jail, a senior officer on noting the escape trail tells the prison supervisor who's standing next to him, "Fax me their photographs quickly!". It's a stupid thing to say. If you're standing right next to the person having the pics, either say 'Show me their photos" or "Circulate their photos to all stations!". Later the escaping trio are caught briefly but in a great gesture of Pakistani generosity, their satchels containing bombs are left behind with them! Ratnam's forte never lay in thrilling action. He manages satisfactorily in the movie-opening battle scene which is reasonably powerful and slickly edited. But a chase involving trucks, jeeps, bikes and gunfire through Pakistan into the Afghan border, is directed with adolescent inexperience and a pitiful lack of knack in projecting pulse-pounding action.The film plumbs its nadir at there, and utterly defeats the director's objective of peppering snatches of action over this turbulent love story. Early in the narrative however, Varun and his girlfriend zip over precarious mountain-top roads while a picturesque emerald river lies on the other side of the raised embankment.That speedy ride is coolly captured, right down to the exactly edited careening brake-stop which lands them at the edge of the precipice. What does this tell us? Ratnam is better off when murderous action is not involved. Imtiaz Ali's 'Tamasha' released two years ago, seems a likely inspiration, at least in part, for 'Kaatru Veliyidae'. 'Tamasha' was also cinematographed by Ravi Varman with assertive colours, sporting a lead pair whose first unexpected meeting leads to one of them going in search of the other, then ensuing in a difficult up and down dynamic. While both films have an interesting heroine, the latter film, Ranbir's looks aside, made its male lead a much more interesting kettle of fish, besides offering delightful sub-plots. KV has no similarly arresting side-tracks to round out the ride when the central track needs a respite, and its ending heaps even more insult. Inspirations from outside works aside, Ratnam's auteuristic recurrent elements which make a guest appearance here - a traditional-style Delhi house of cubbyhole interiors flowing out open-plan into courtyards, a quarrel between hero and heroine which erupts at a deserted high altitude Kashmiri no-man's land ( cf. 'Dil Se'), to name a few - will be of interest only to Ratnam's profilers. Karthi is unable to shoulder the burden of the male lead's underdeveloped character. When his sunglasses come off and his gazes at Leela with his large strikingly curvilinear eyes, instead of deep passion, there is a manic dangerous glint which I found funny, corroborated by chuckles from nearby seats. With cooling glasses, he's cool - without them, he's uncomfortably exposed, with little delicacy in emoting. When he pleads his case with Leela's parents, it passes muster as decently rendered college-level theatrics, but lacks the intricately persuasive acting that would have truly drawn our sympathy. Pic is significantly salvaged by its visuals. From 'Barfi' to 'Ram Leela' to 'Tamasha' and now 'Kaatru Veliyidae', director of photography Ravi Varman , in a partially similar evocation of the warm colors of the 19th century famous Indian painter Ravi Varma, uses assured framing and glowing soft colours to elevate the film. From that wondrous snow-surrounded introduction of a lustrous Leela, to a nightly scene of the lead pair and her parents at the dinner table in an outhouse which is enveloped in warm golden light, the canvases breathe controlled beauty. Twenty-five years have elapsed since Mani Ratnam and A R Rahman bewitched the world with their magic in 'Roja'. Rahman continues to mesmerize and evolve, while the man who gave him his first break in film has plateaued nay retrogressed. Rahman's songs in this film are passable (I can't blame him - he'd have looked at his old directorial associate and mentally thrown up his hands) but when he is allowed to cut free from the thankless story rubric and issue a composition of pure abandon, he gives us the frisson-powered 'Jugni' - a powerful stylish beast that reprises Rahman's gift for contrapuntal currents, evidenced here in rippling wind-chimes and heavy percussion, all spiced with Tejinder Singh's zestful singing. Rahman can sometimes go overboard in back-ground score, but partnered here with his student-ensemble of 'Qutub-E-Kripa', we get restrained harmony. What is Ratnam trying to achieve with this film, after more than three decades of film-making ? Mike Nichols, also a veteran of thorny man-woman relationships, made 'Closer' (2007) at the age of seventy-three. That film did not mark a radical departure from the troubled ethos of his earlier oeuvre but it presented a distinct twenty-first century world with a quadrangular tangle of strikingly nebulous players supporting Nichols to get his yesteryear dramatic power amped up to a even more ferocious explosion - thereby presenting every possible reason why he should have exerted himself to give us this new beast. 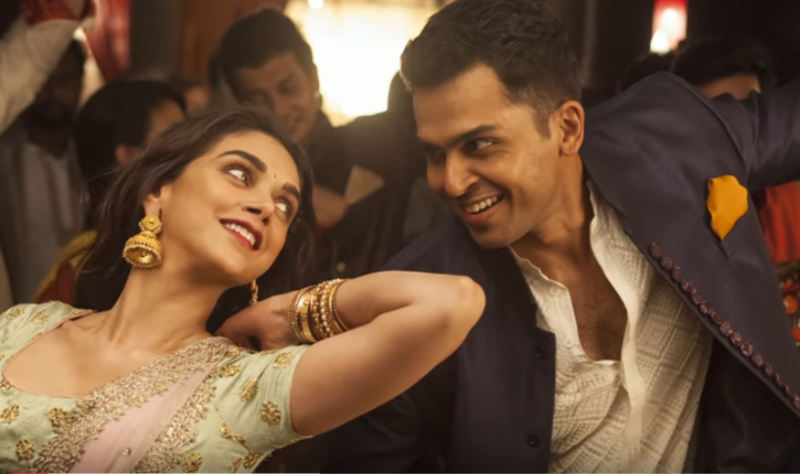 In 'Kaatru Veliyidae', we get a rocky relationship between a lovely girl and a capricious boy, with the latter showing blaring commitment-phobia, and after some hare-brained cross-country chases, he returns to her and she does not express misgivings despite a malignant past. There is zero emotional or societal or narrative evolution here, in fact the film seems geared towards further deluding chauvinistic men who may emerge from this film, thinking their woman will be forgiving even after a world's worth of abuse. After a hiatus of four years, if I escaped from Pakistani dungeons heroically, and then utter some ambiguous platitudes in front of her, she may possibly accept me! To be fair, Varun does not conclusively offer to be her partner again, it is Ratnam who silently forces Leela to respond to his overture with welling shades of reconciliation (there's an extra player involved now, but it's not an automatic ticket to hug,weep-'n'-forget). Did Ratnam consider a realistic compromise where Leela, instead of forgiving and embracing, expresses uncertainty and a desire to tread carefully given his repeated past non-commitments ? Though it is hinted that she has had to cope with a tough father, that's poor justification for her to persist with an unworthy man. Leela's intelligent sensitive persona is smashed to pulp, and she ultimately becomes a detached construct of a chauvinistic story-teller. Any fair-minded person, female or male, will despise this ending but Ratnam floats without care in lands and clouds of timeless romance. If the story had continued longer, it would have resulted in conclusive divorce. But Ratnam is smart - he finishes the story much before that juncture and leaves us with a "happily ever after". Overall, that conceit is the only example of "directorial evolution", if it can be called that, that one can detect here. When I asked an industry veteran whether he would watch this newly released film, he evinced little enthusiasm, citing the long slew of Ratnam's disappointing works over the years and then averring that he now prefers to remember Ratnam as how he was in his vintage form of the late nineteen-eightees. I found little in the way of countering that perspective. 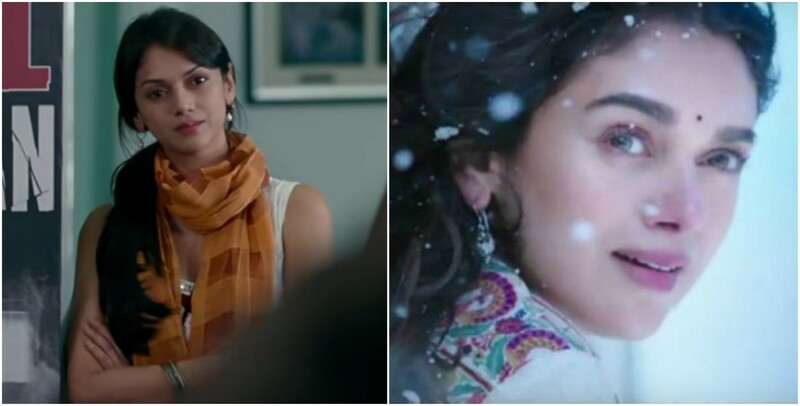 Like how 'Kaatru Veliyidae''s heroine gives doomed consideration to the mercurial "hero" time and again, flailing admirers of Ratnam like me keep returning to the tiring auteur with fading hopes mired in a lost past, changed present and bleak future.